A contractor has been selected, the plans have been drawn up and a planning application has been submitted. The project should be completed during 2016. 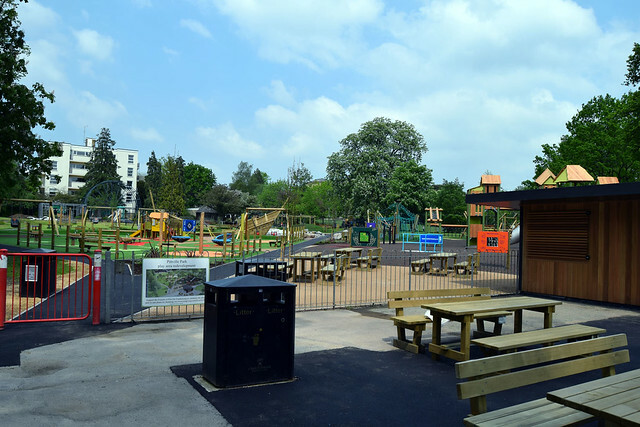 The play area will be closed for a period of time whist the new play area is installed. This will be conducted during the winter months when the park is quieter. The planning application has been submitted and the plans are available on the council’s planning PublicAccess website. The planning application went to planning committee on Friday 18 December. An impressive video featuring the vision for Pittville play area can be seen on our YouTube channel. 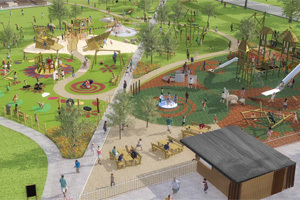 The Friends of Pittville are supporting the council with this project and are happy to receive donations from members of the public who want to help the council deliver this flagship play area for children of all ages and abilities to enjoy. Donations can be sent by cheque made out to 'Friends of Pittville' at Friends of Pittville, 3 Burston House, Pittville Circus, GL52 2PU. Take a look at our Flickr album to see the progress being made throughout the project!